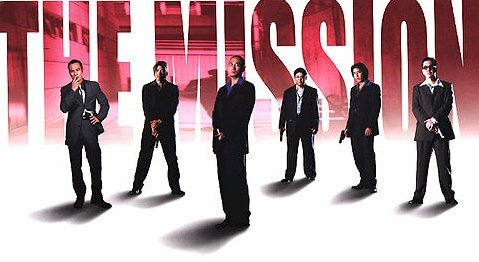 The Skinny: Johnnie To brings us his most meticulously directed film, an unexpected crime thriller that's fascinating in its subtlety and controlled emotion. Quite easily one of the best pictures of the year. Johnnie To’s latest treatment of the crime genre arrives is yet another top-notch Milky Way production. Five different triad members are brought together for one mission: to protect Brother Lung (Eddy Ko), who has unknown assassins out for his hide. Roy (Francis Ng) is a minor boss who’s brought into the group along with his right-hand guy Shin (Jackie Lui). James (Lam Suet) is the resident gun expert, Mike (Roy Cheung) is a parking boy who’s an ace marksman, and Curtis (Anthony Wong) is the cold-blooded killer of the group. Despite their disparate styles and personalities, these five guys turn out be quite a team. They form a bond of brotherhood amidst the triad underworld, and that’s pretty much all this movie is about. Sure that sounds hackneyed, but this is a Milky Way picture, where the themes are unexplained, the emotions bottled, and the context paramount. Basically we just watch as these guys wander through these situations, revealing bits and pieces of their individual characters. What occurs in the film makes complete sense despite the lack of overt exposition. The characters are revealed so well that we're able to understand who they are and what they're doing through minor emotion, or even just the slightest physical action. image courtesy of Milkyway Image, Ltd.